Looking for city centre adventure for your stag do? 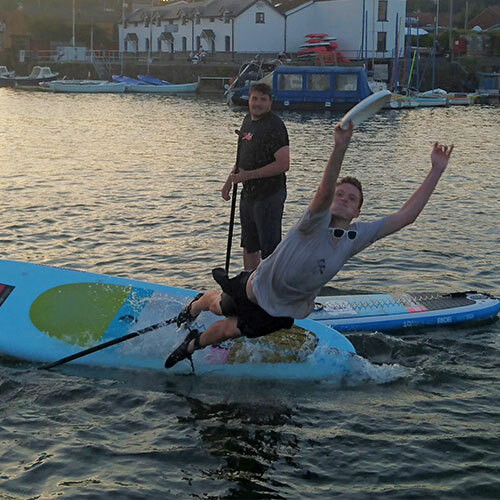 Check out stand up paddleboarding – it’s the UK’s fastest growing watersport and the ultimate stag do activity. We’ll combine building some basic skills and a journey with plenty of games to make sure the stag leaves “refreshed”. Our stag activities are suitable for all abilities and can be as relaxed (dry) or energetic (probably wet) as you want. 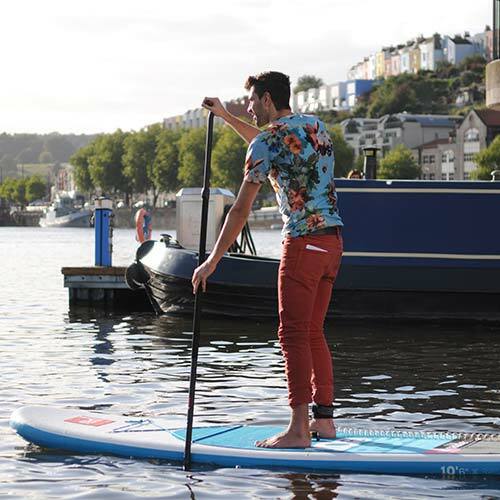 If you’re looking for an adventure in Bristol city centre it doesn’t get any better than this. 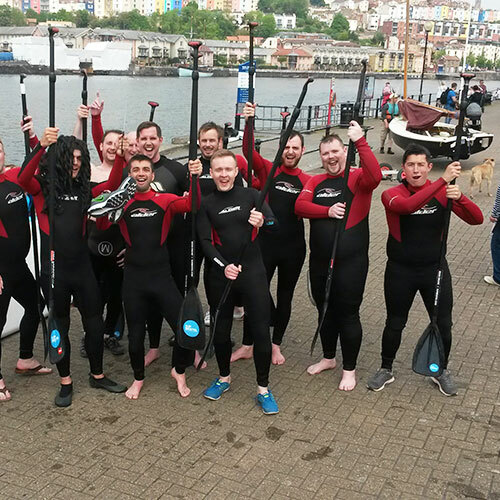 We were a group of 16, with little or no experience on the water but were made to feel completely at ease thanks to the guys and we all had a brilliant experience! A mixture of travelling down river and games on the water served as a perfect hangover cure. Instructors were brilliantly patient with our ‘mixed-ability’ group. Floating around the harbour (and the odd dip) was the perfect remedy to a full-on Friday night. Would heartily recommend to anyone.